Thomas Brewington is a hero to many outside the wrestling ring. As a spokesperson for Dropkick Depression, he has been open and honest about his personal struggles with depression and suicidal thoughts. His honesty and candor have helped those who struggle with depression see they are not alone, and his efforts have helped others to better understand what life is like for people who battle depression on a daily basis. Thomas Brewington is a real hero – outside the ring. 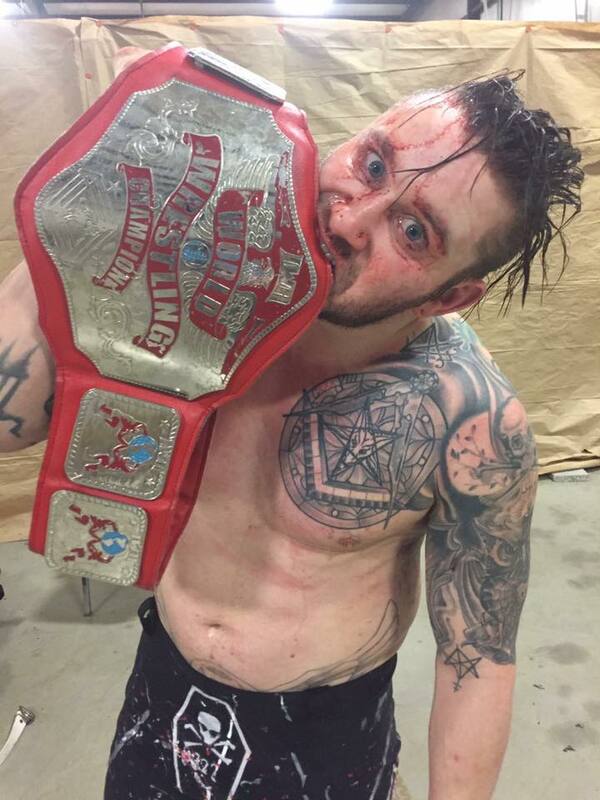 Inside the ring, he’s a real jerk, and he’s one of the wrestlers reinventing kayfabe. Kayfabe, as it once existed, is indeed gone, but it is far from dead. It is evolving into something new. As previously discussed on this blog, Mr. Darius Carter is inventing it in his own way by refusing to give shoot interviews or sell T-shirts. And as much as Sami Callihan stunned the world when he smashed Eddie Edwards in the eye with a baseball bat, he stunned fans and colleagues even more when he refused to apologize for it, owning it on the best episode of Talk Is Jericho I’ve heard all year. Kayfabe is not dead. It’s evolving, and even in 2018, a great heel can make even the smartest of marks hate their freaking guts. 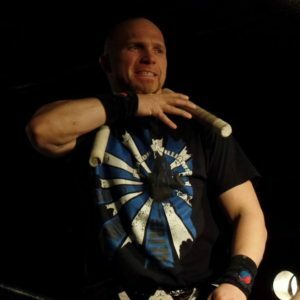 New Stores on Pro Wrestling Tees! Please support these guys by buying their merch AND going to their shows. 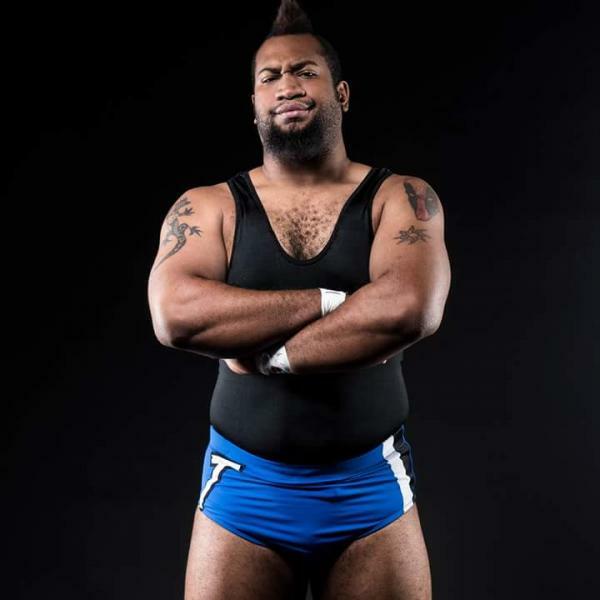 If they’re not working anywhere near you, you can find Aaron Williams on Rockstar Pro Network and the other guys on High Spots. The wrestling business is filled with men who turned to the squared circle after spending most of their lives on the gridiron. From the early days of Bronco Nagurski to the WWE’s Big E, many football players have found a second career and a second chance in wrestling. Mike Orlando grew up playing football. He played in college and even got a look from the NFL team. Deep down, Mike was never a sports fan. He got into football for one reason: he wanted to look like a wrestler. Orlando grew up watching the WWE, idolizing the character of the Ultimate Warrior while admiring the technical brilliance of Chris Jericho and Triple H. Orlando recognized the excellence Jericho and Triple H brought to the ring, so when his football days were over, he went to wrestling school to follow in their footsteps. 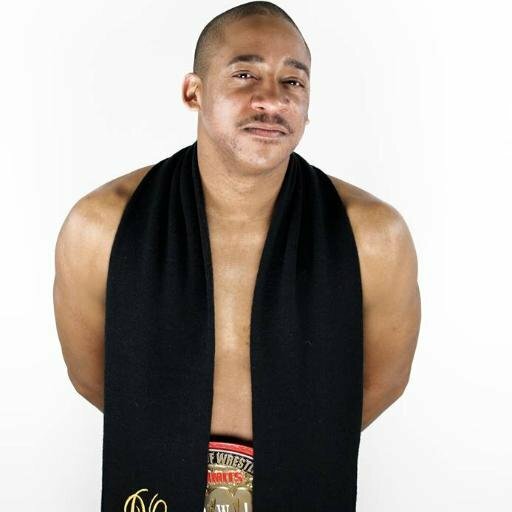 Orlando has worked with a number of stars in his young career including Mike Verna, Dalton Castle, EC3, Chris Masters, and Matt Macintosh, but ask him to name his best match and he’ll tell you, “My best match is yet to happen.” Orlando carries the college football mentality that you are only as good as your last play. He is focused on learning and improving with every opportunity given to him in the hopes it will lead to the ultimate goal: a match at Wrestlemania. Fans can follow Mike on his website, therealeliteathlete.com. 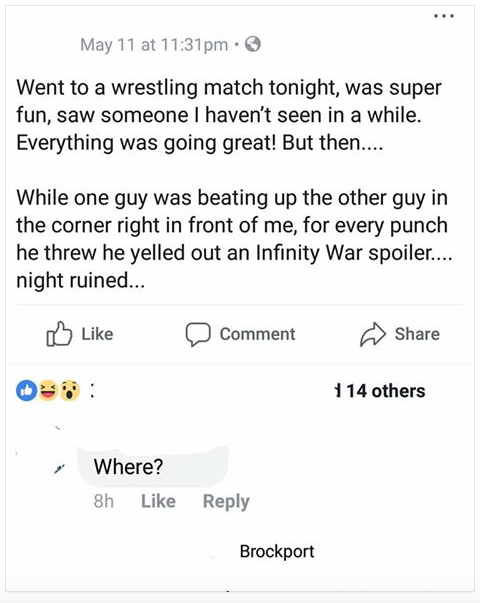 You can also find him on Facebook and see many of his matches on Youtube. Thomas Brewington’s story can be seen for free right now on YouTube. By all accounts, The Rick’s had a rough year. He was forced to temporarily change the name of his promotion. Financial troubles forced him to go on hiatus. Then he and his family lost everything when their home was flooded. But all is not lost for The Rick. His friends came together to do a benefit show, and his beloved Duke Blue Devils won the national title. The Rick knows he’s been blessed, and this Christmas, he’s bringing the gang back to do a little giving themselves. Destination One Wrestling returns from hiatus Friday night at The Arena in Jeffersonville. D1W was known for bringing a fast paced show featuring some of the best indie stars from across the country, and this weekend will be no different. 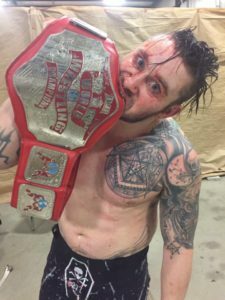 D1W Champion Ron Mathis, who has spent the year collecting title belts, will be in action defending his title against Cassius Cutcher. 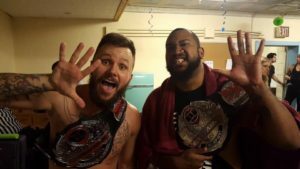 The Madness of Trip returns from New York to take on Rockstar Pro’s Kyle Maverick. 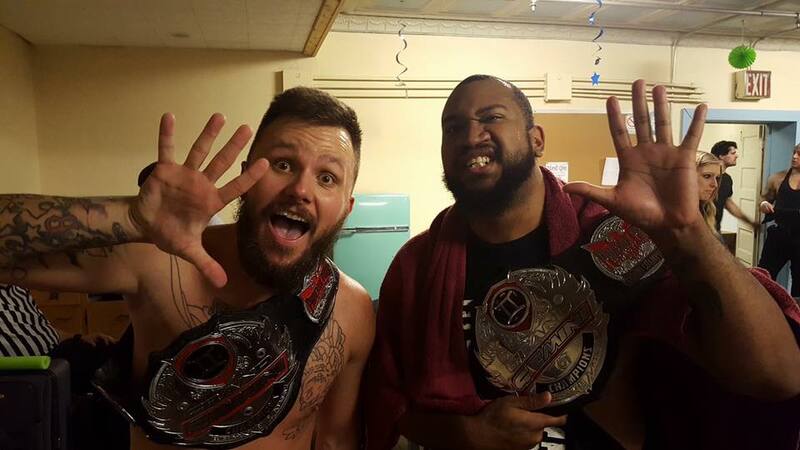 Trip’s partners in mayhem, Eric Emanon and Thomas Brewington of the Indy Card Mafia will be in triple threat tag team action against the Hoosier Daddies and Detroit Versus Everybody. D1W favorite Lennox Norris faces Mitch Johnson, one of the hottest heels you’ll ever hear on the mic. More matches still to be announced! 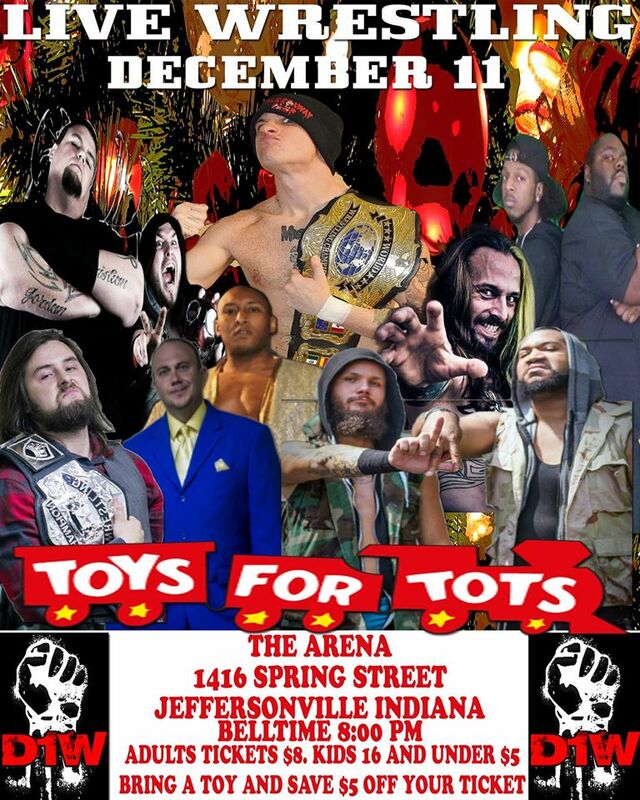 Christmas is only a few weeks away, so The Rick made Friday’s show a Toys for Tots benefit. Bring a toy to donate, and take $5 off the price of admission. Simple as that. It’s a great way to do some good and enjoy a night of terrific wrestling this Friday night.